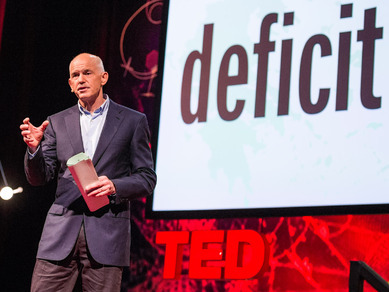 Greece has been the poster child for European economic crisis, but former Prime Minister George Papandreou wonders if it’s just a preview of what’s to come. “Our democracies,” he says, “are trapped by systems that are too big to fail, or more accurately, too big to control” — while “politicians like me have lost the trust of their peoples.” How to solve it? Have citizens re-engage more directly in a new democratic bargain.